Speech of H.E. 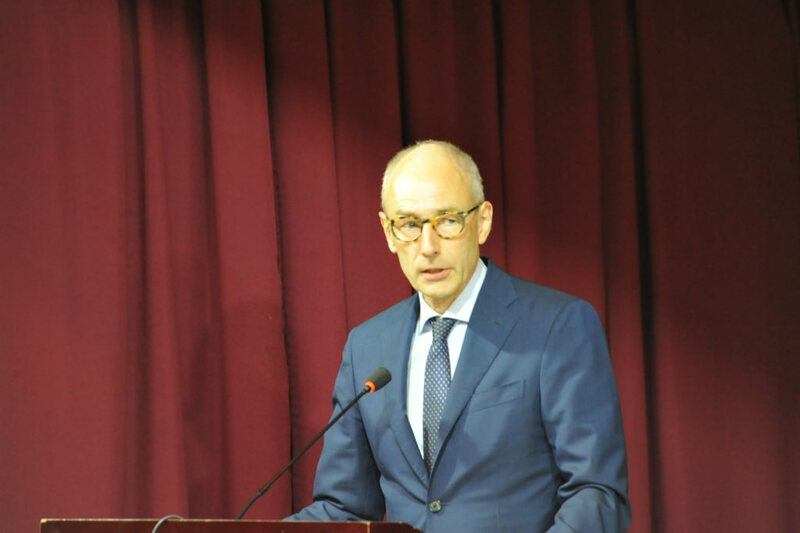 Matthijs Wolters, Ambassador of the Kingdom of the Netherlands to Iraq at the high-level consultation meeting on the development of the 2nd National Action Plan. It is an honour for the Netherlands to be associated with today’s important event. Four years ago, in this very hall, Iraq adopted the its National Action Plan for the implementation of Security Council Resolution 1325 on Women, Peace and Security. Iraq can be proud that it was the first country in the region to adopt such a plan. Its example could still be replicated elsewhere in the region. The timing of the Plan as well as its themes made it highly relevant in view of the dark period of its history which the country and its population experienced. Women and girls have suffered terribly during the struggle against Daesh. Many were specifically targeted. The objectives of the NAP go right to the heart of the problems these women experienced. Providing victims means for their rehabilitation and reintegration into society is a priority area for the NAP. But it needs to be translated into very practical measures to be of help to them. For example, access for women to psychosocial support, is key. A lot has been done in this regard, but a lot more can, and must be done. My government is committed in its support to Iraq, and UN agencies working on these themes. In the aftermath of the defeat of ISIS the focus will also be on other areas of the NAP. Like the social and economic empowerment of women. The NAP rightly refers to laws that perpetuate stereotypical roles and hinder women’s inclusion in the economy. Of course there can be no mistake. In today’s world Iraq needs the talents of its women for its economy to grow and provide a better future for all Iraqi citizens, men, women and children alike. Regrettably, stereotypical views persist as has become all too apparent in the last weeks. Dr. Suad al-Ali, a human rights activist, and Ms Tara Faris, a fashion model, were murdered apparently for who they are, and how they chose to shape their lives. The murders themselves and the effects they have on women in society are highly disconcerting, and indeed unacceptable. The murders require a full criminal investigation to bring the perpetrators to justice. As Iraq is forming a new government the question needs to be asked, what plans are there to end impunity for perpetrators of gender-based violence? Will Iraq consider a law on Violence against Women, which criminalizes such violence, like other countries in the region have done? I hope your discussions today on the 2nd NAP will seek to address very specific measures that may put an end to all violence perpetrated against women. I wish you a lot of inspiration.